BJ Baldwin is one of the most well-known off-road drivers in the history of off-road racing. He has won in short-course, desert racing and done some of the most outlandish stunts on four-wheels. Trophy trucks are one of the most formidable vehicles to ever run through the desert. With Baldwin behind the wheel, no competitor is safe from pursuit and no finish line far from his reach. 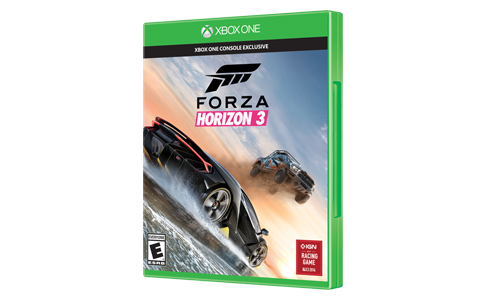 The Baldwin Motorsports trophy truck will show any Forza fan the amazing power and almost limitless suspension capabilities of this champion of the dust and dirt. B.J. Baldwin is one of the winningest off-road drivers in the history of this grueling sport. He was the first to solo the monumentally challenging Baja 1000, and won the race to boot. Baldwin’s skill behind the wheel is backed up by his physical ability to take all the desert can dish out. 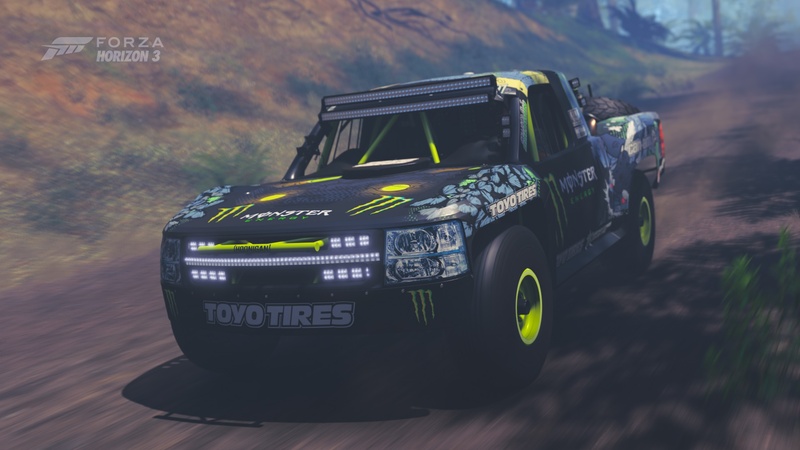 The #97 Monster Energy Trophy Truck is the perfect complement to its legendary pilot; sucking up bumps and whoop-dee-doos, or landing the biggest jumps you can find in Forza Horizon 3’s Australian outback. There’s more horsepower here than any average driver will ever need and more suspension travel than nearly any vehicle on the planet. With the right driver behind the wheel, this truck can lay waste to anything else in the Outback. Think you can fill B.J. Baldwin’s race seat? Strap in and let’s find out.